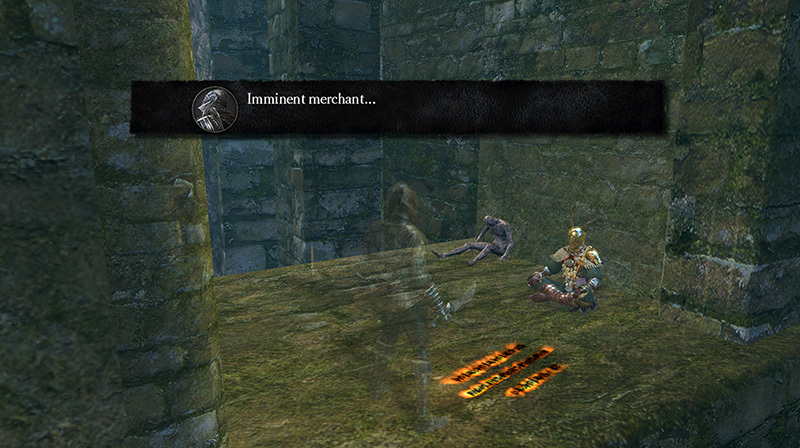 Miracle of Clerics on an Undead mission. Display more guidance from other worlds. Undead, but their value varies greatly. A balance of faith and wisdom is required. Sold by Petrus of Thorolund and Rhea of Thorolund at Undead Parish, after saving her in the Tomb of the Giants. Display more online messages written using the Orange Guidance Soapstone. Allows caster to see the positive and negative votes on a given message. 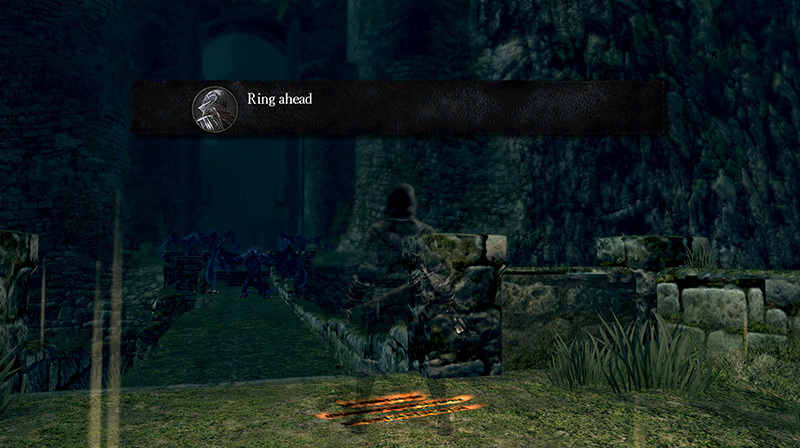 Show hidden messages written by the developer. 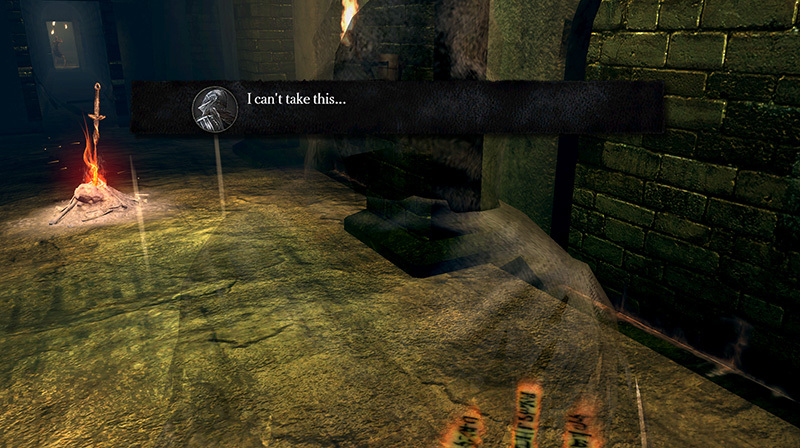 These messages have the Knight of Astora icon and may contain phrases that cannot be used by players. Undead Asylum "Exchange" Near the small nest for trading with Snuggly. 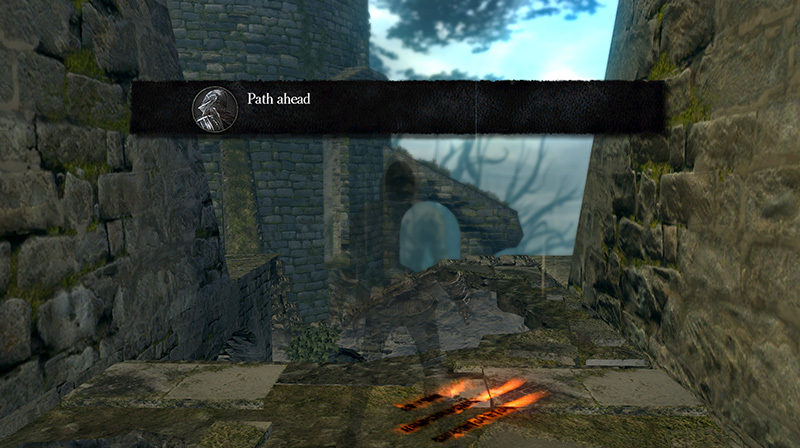 Firelink Shrine "Path ahead" Drop off location from the elevator, indicating the path to the egg-nest above. 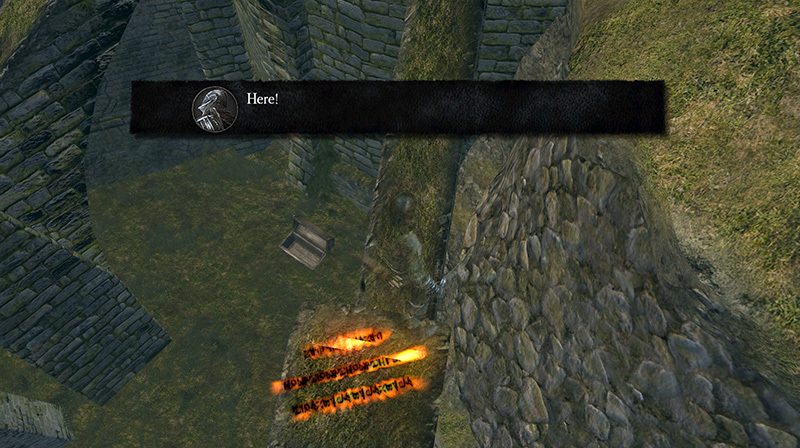 Firelink Shrine "Here!" On the base of the flying buttress, showing where to land to continue up to the nest. 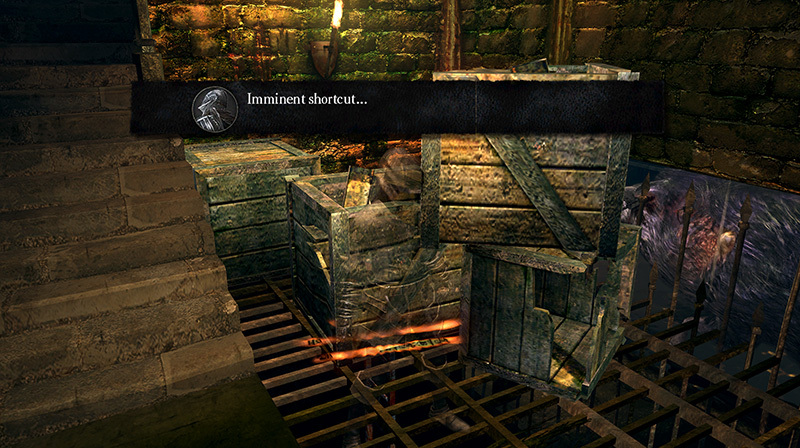 Firelink Shrine "Imminent merchant..." Under the aqueduct tunnel, in front of Domhnall of Zena's second location. 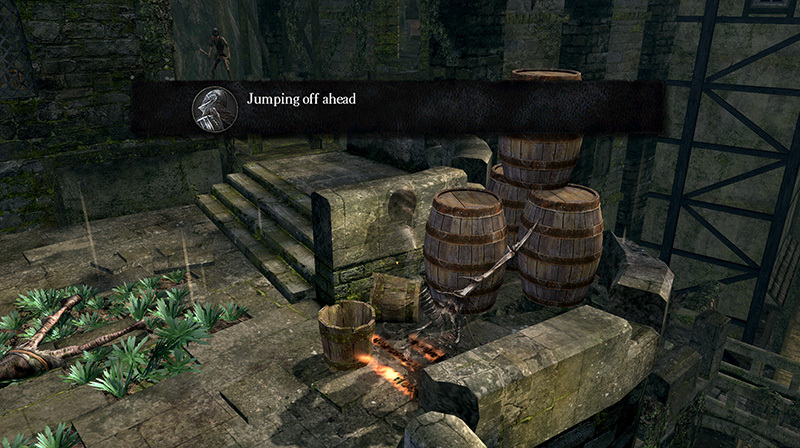 Upper Undead Burg "Jumping off ahead" Before the barrels and drop-down path leading to the ambush hollows. 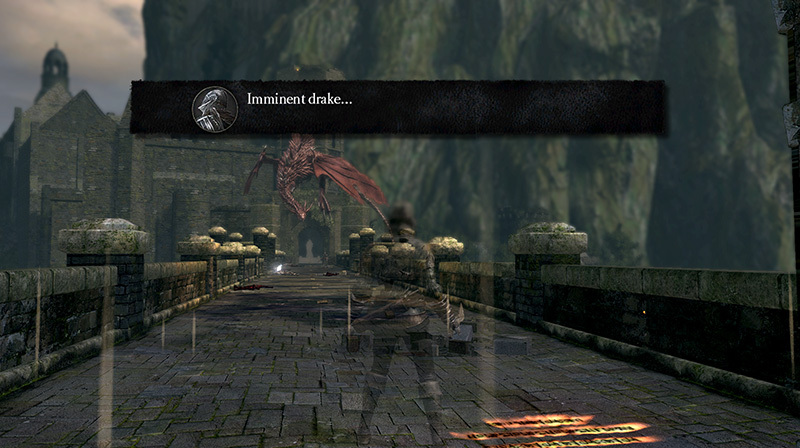 Upper Undead Burg "Imminent drake..." At the start of the Hellkite Dragon bridge, by the basement door. 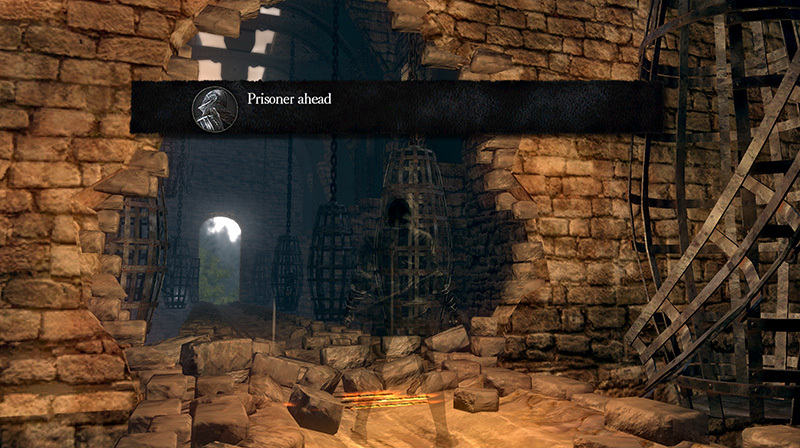 Lower Undead Burg "Prisoner ahead" Outside of the room containing Griggs of Vinheim. 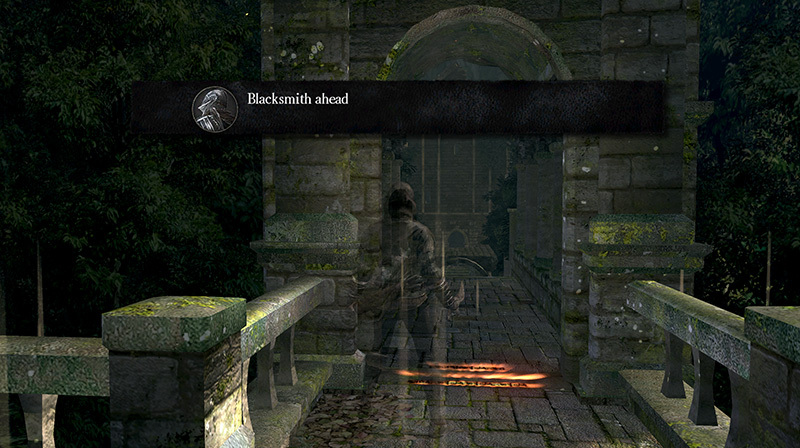 Undead Parish "Blacksmith ahead" Outside the church, on the path leading to Andre of Astora. 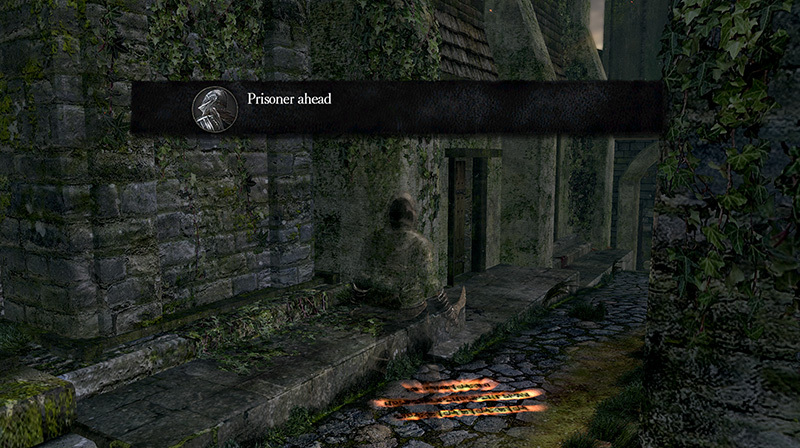 Undead Parish "Prisoner ahead" In the doorway leading to Lautrec's cell, before the Balder Knight. 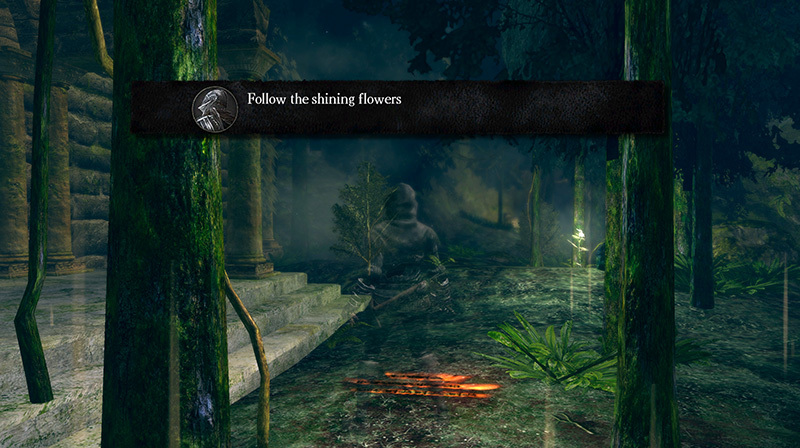 Darkroot Garden "Follow the shining flowers" At the start of the garden, outside the Titanite Demon room. 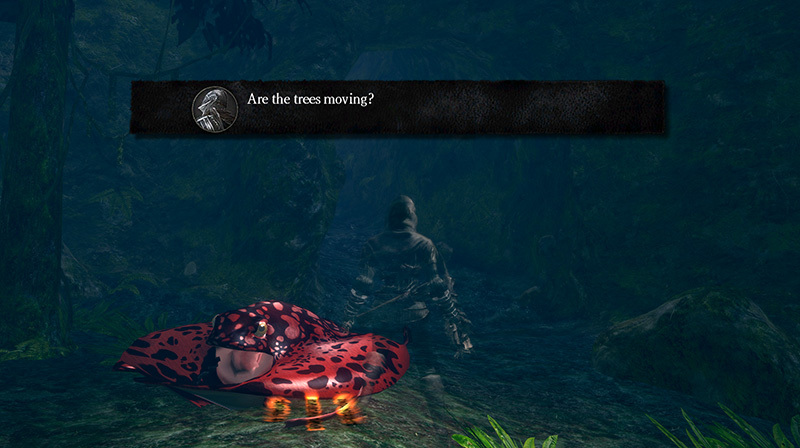 Darkroot Garden "Are the trees moving?" By the lone Frog-Ray between the two killable trees. 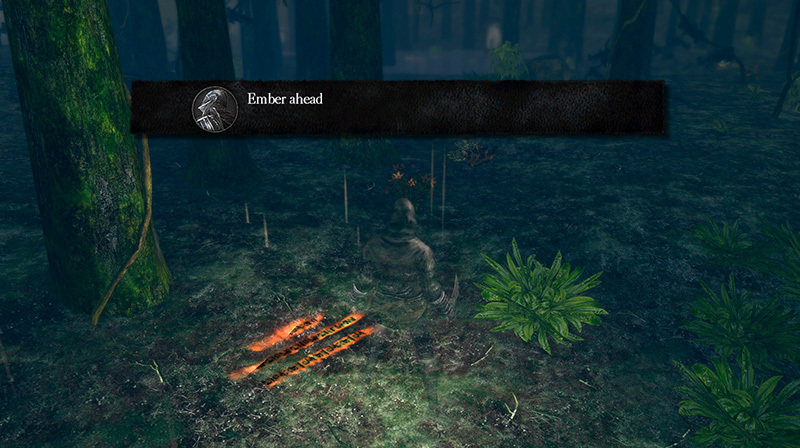 Darkroot Garden "Ember ahead" Near the ember by the Mushroom Parents, approaching from the Great Feline area. Valley of Drakes "Ring ahead" Before the bridge with the Drakes, approaching from the Darkroot Basin elevator. Depths "I can't take this..." By the bonfire. 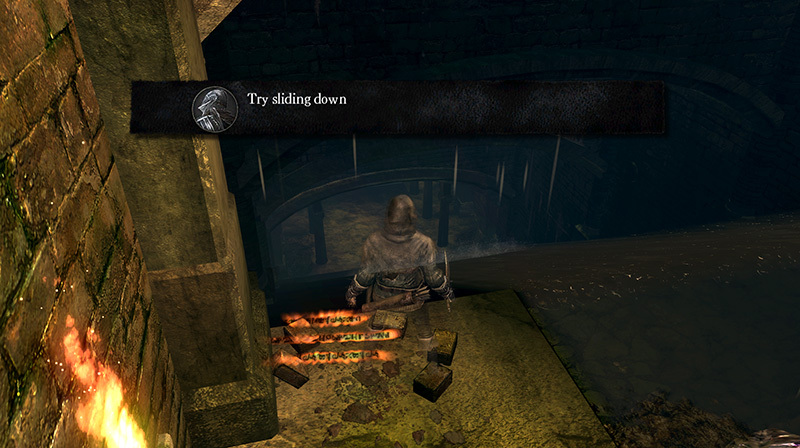 Depths "Try sliding down" By the waterfall ramp in the Giant Undead Rat's chamber. Depths "Imminent shortcut..." Above the shortcut ladder near the bonfire. 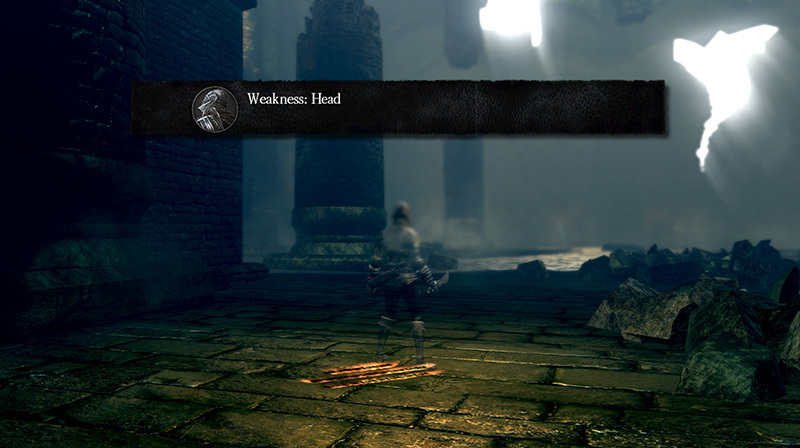 Depths "Weakness: Head" In the Gaping Dragon boss area, near a pillar to the left of the entrance. 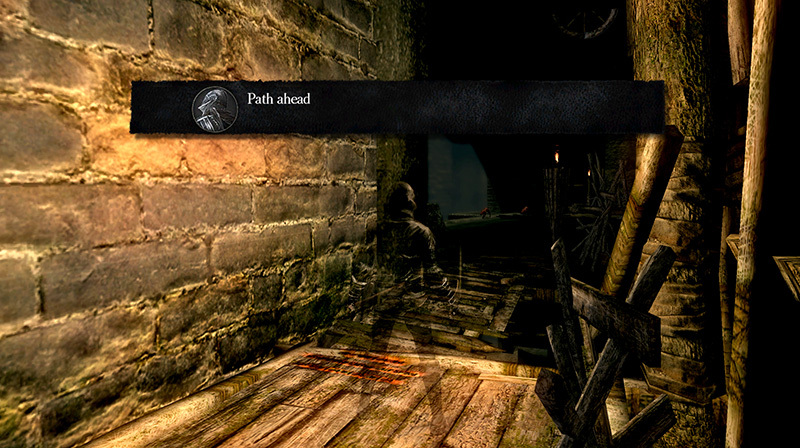 Blighttown "Path ahead" Near the upper bonfire, before the stone walkway containing the Flaming Attack Dogs. 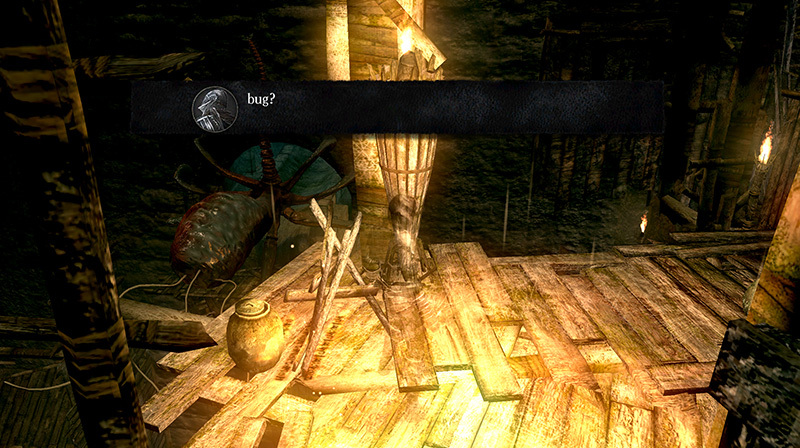 Blighttown "bug?" 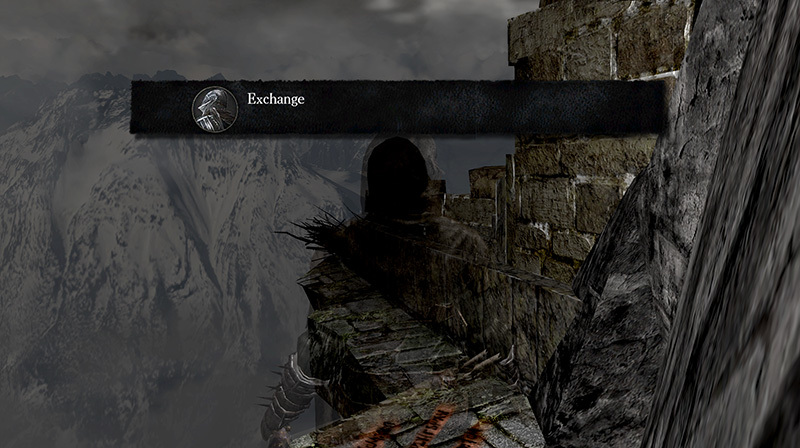 Shortly after the upper bonfire, on a ledge overlooking the Parasitic Wall Hugger. 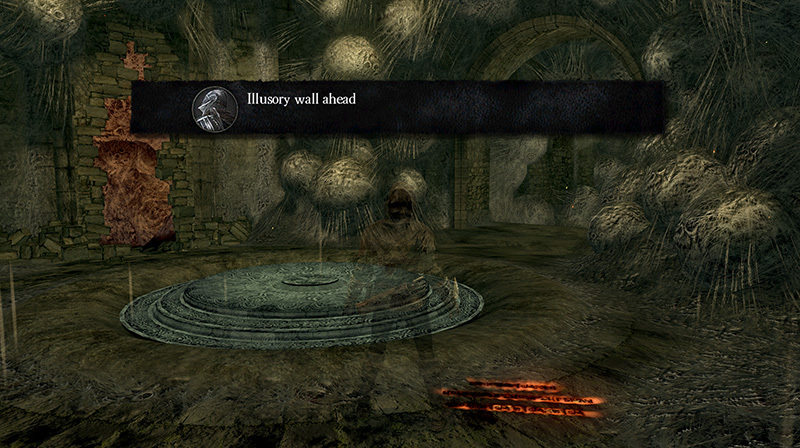 Quelaag's Domain "Illusory wall ahead" Near the illusory wall leading to the Daughter of Chaos bonfire. 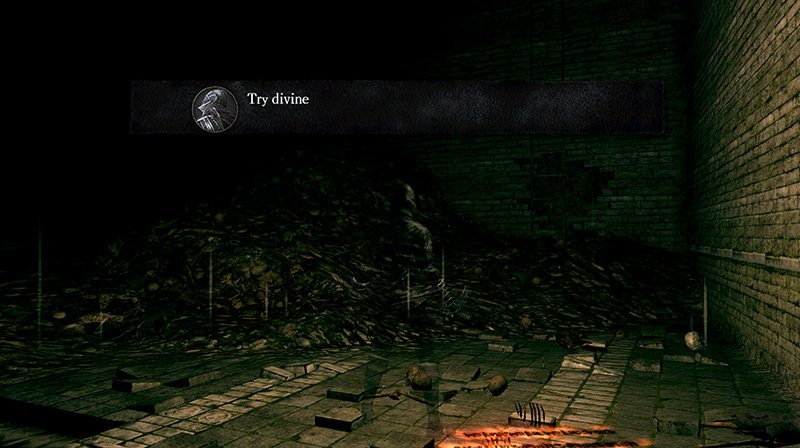 The Catacombs "Try divine" On the floor by the first ladder in The Catacombs. 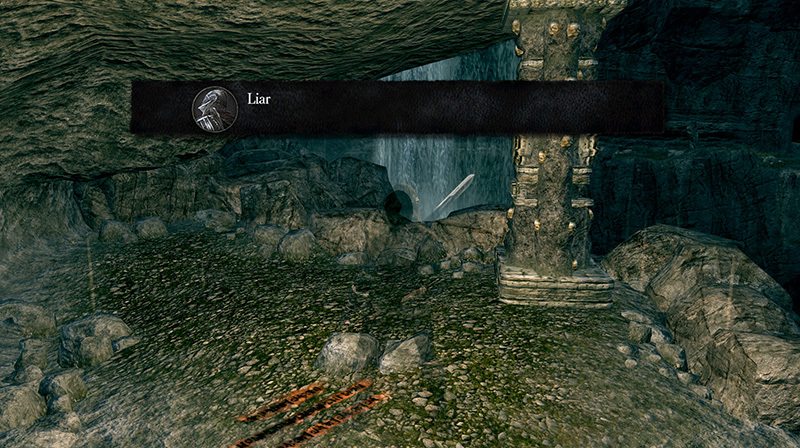 The Catacombs "Liar" By Patches, behind the bridge switch. 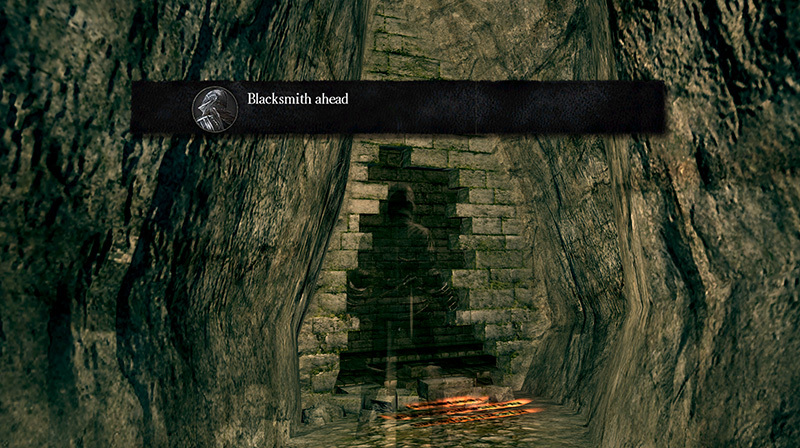 The Catacombs "Blacksmith ahead" Outside the entrance to Vamos, near the wheel skeletons. 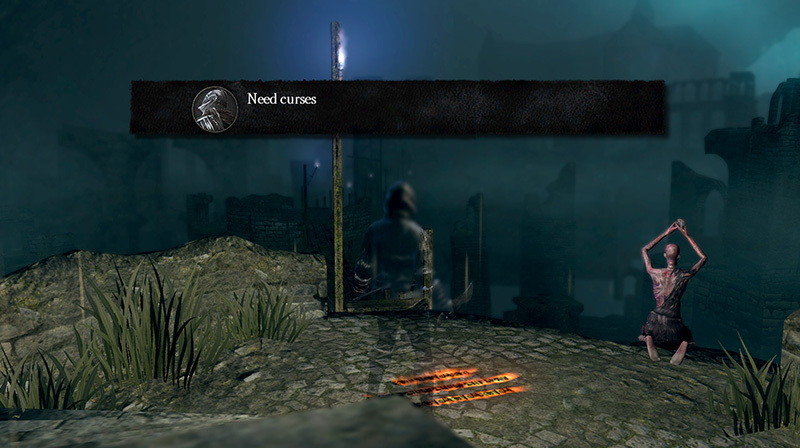 New Londo Ruins "Need curses" Before the narrow wooden bridges. 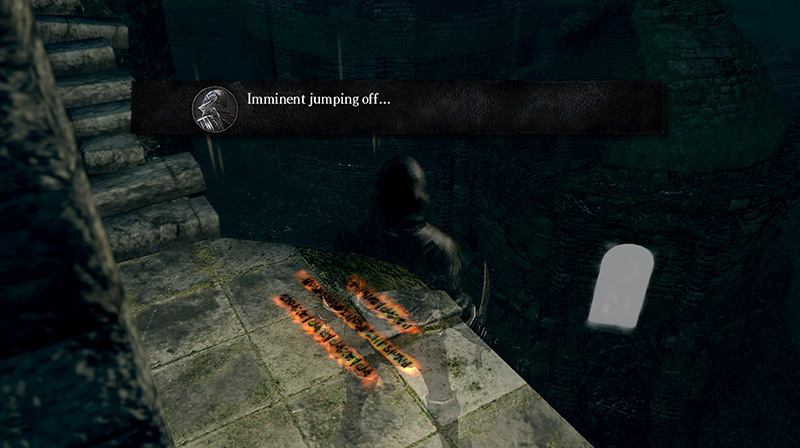 New Londo Ruins "Imminent jumping off..." At the bottom of the broken stairs, outside the building with Ingward. 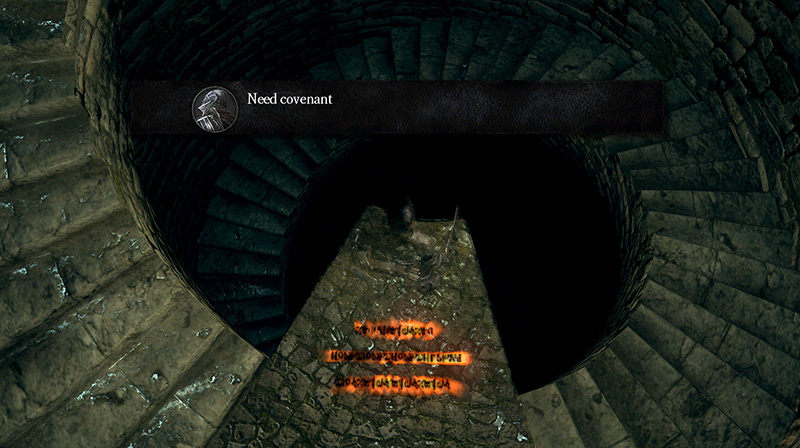 New Londo Ruins "Need covenant" Outcrop at bottom of staircase leading to the Four Kings. 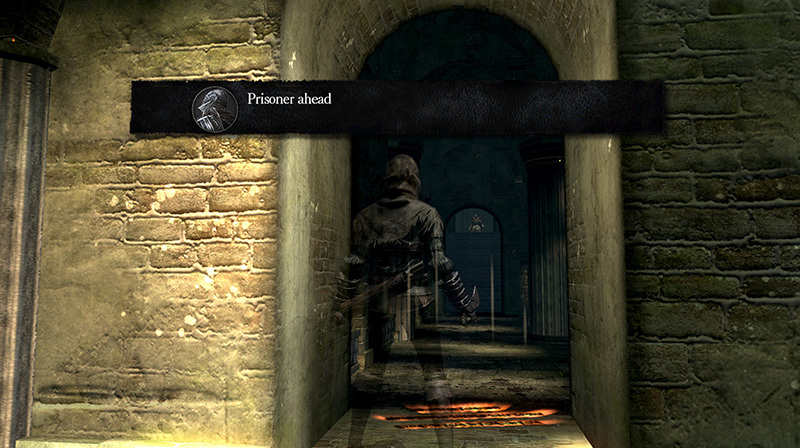 Sen's Fortress "Prisoner ahead" In front of the breakable wall leading to Big Hat Logan. 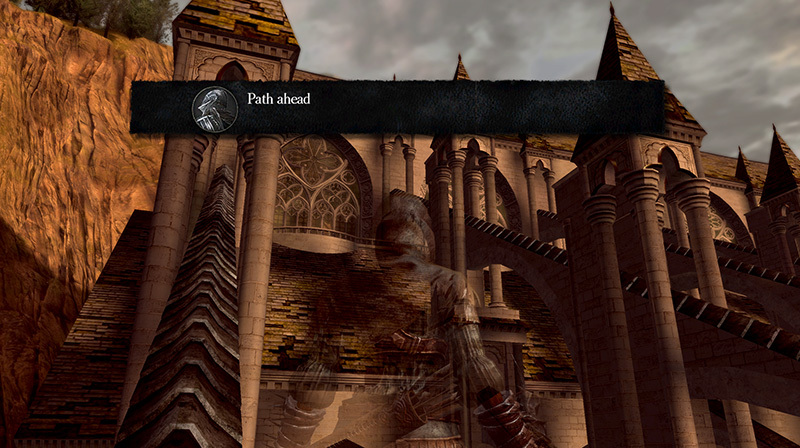 Anor Londo "Path ahead" At the base of the flying buttress leading to the painting room catwalks. 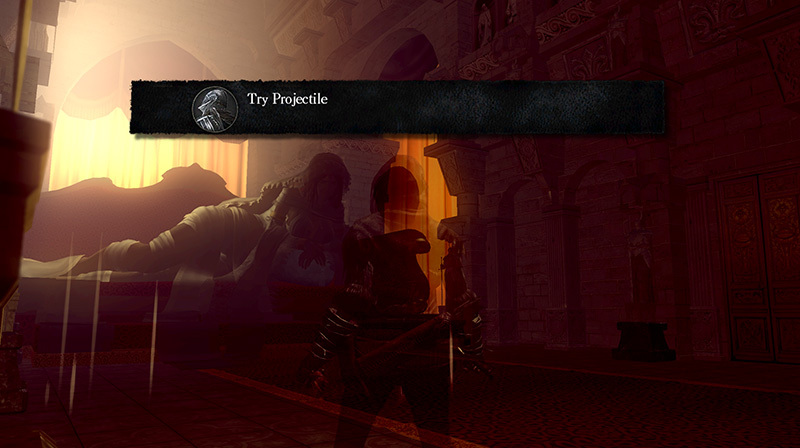 Anor Londo "Try projectile" In Gwynevere's chamber. 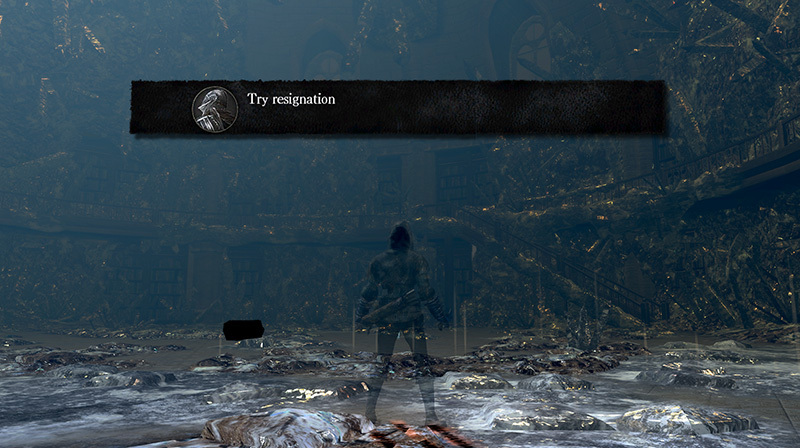 The Duke's Archives "Try resignation" In Seath the Scaleless's first location. To the left after passing through the fog gate. 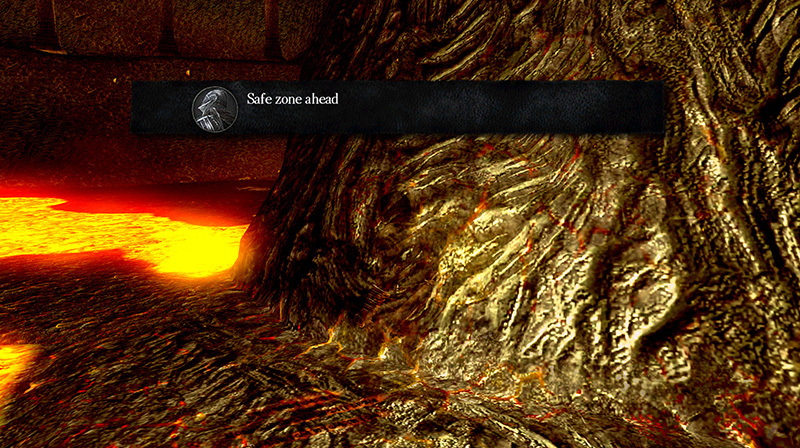 Demon Ruins "Safe zone ahead" In the Centipede Demon room, on a patch of ground to the right of the entrance.